Just in time for spring, Noble is pleased to announce two colorful new collections in our Gift Packaging department, the Citrus Wave and Chocolate collections of gift baskets and boxes. The fresh spring colors in these collections make them great choices for Easter and Mother’s Day gift packaging! Citrus Wave comes in a bright palette of fuchsia, lime green, and orange, set against a white background – this collection has a fun, retro pattern of wavy stripes and polka dots, with lime green accents on the lids. For a festive Easter gift basket, just fill the Citrus Wave gift basket with some crinkle cut shreds in a complementary color! For unique and attractive food packaging, try the Citrus Wave confection boxes – with their matching lids, they make gift packaging a snap! Our Chocolate Collection has a contemporary, sophisticated look with its smart stripe and polka dot pattern. This collection comes in beautiful soft pink, orange, green, and blue, against a rich chocolate brown background. A beautiful, modern pattern of leaves, flowers, and birds is also available in the gift basket and gift card styles. For a fun and attractive Mother’s Day gift, fill our Chocolate Collection market tray with her favorite foods, bath products, or cosmetics! With their sloped sides and die cut handles, these trays make great reusable packaging that can do double duty as household decoration or storage! The Chocolate Collection nested boxes are a beautiful choice for any gift packaging – they can be used separately for different sized gifts or confections, or stacked together for a very lucky gift recipient! Our new Citrus Wave and Chocolate collections bring you attractive, reusable packaging that will make people smile before they even see what’s inside! Both include gift cards, gift baskets, gourmet boxes, nesting boxes, and market trays. 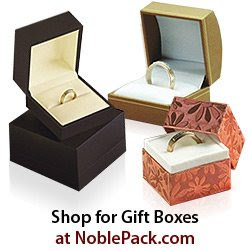 Check out our Gift Packaging section for matching shreds, ribbons, and tissue paper! The citrus and the dark colors look great together. Very festive. With greetings would like to inform you that, Clipping path united (CPU) is an internet based outsourcing organization which is situated in the emerging Asian reason; where it is geologically and technologically opportune with low cost. As a consequence; we can provide all kinds of graphic editing services like clipping path, multi clipping path, image masking, background removal, Retouch/Image Editing, Shadow Creation, Raster to Vector and other image editing related professional services at your limit in all around the world. Pictures are Clipping path specialists double-shell or customized based on customer needs. Adobe Photoshop software used by graphic editors in Image masking services manipulation techniques, which provides all the necessary tools for editing. 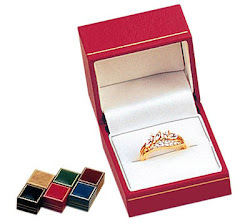 We are providing all kinds of jewelry photo editing service with high-quality and cheap rate. If you need to edit your photo just visit our site for contact us.